With professional customers looking to minimise the desktop footprint of their workstation without compromising performance, small form factor computing solutions are becoming more common. Today’s professional applications require small form factor workstations to provide full size features and performance in a compact package. 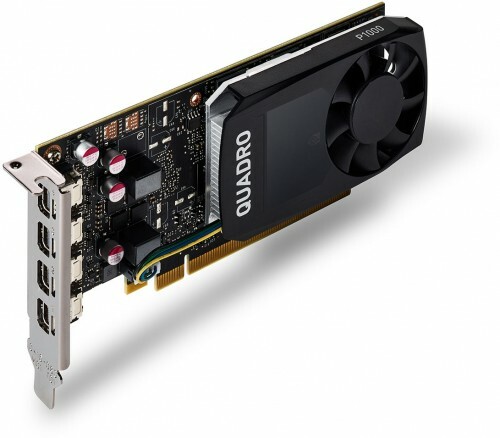 There is an option of adding up to four mini DisplayPort to DisplayPort cables that will allow this graphics card to connect directly to DisplayPort monitors for up to 4K resolutions. Please click here for our range of cables available.